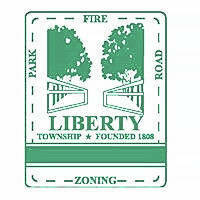 The Liberty Township Board of Trustees has moved its regularly scheduled Monday, March 19 meeting from 7 p.m. to earlier in the morning at 9:30 a.m. The morning meeting will be held at Liberty Township Hall, 7761 Liberty Road, Powell. According to Cathy Buehrer, township administrative assistant, trustees Shyra Eichhorn and Melanie Leneghan both will be out of town the evening of March 19. However, Buehrer said since Leneghan didn’t have to leave until the afternoon, it made an early morning meeting possible with Trustee Mike Gemperline. Buehrer said since the meeting is outside of the trustees’ normal schedule, the meeting will be scheduled as a “special meeting,” which only allows for the business scheduled on the agenda. According to the agenda, trustees have two executive sessions scheduled for the special morning meeting. Once returning to public session, trustees will approve purchase orders, bills and warrants as contained in the first two resolutions. Once finished with the resolution, trustees will open the floor for any unscheduled business or public comment. This entry was tagged Buehrer, D. Anthony Botkin, Gemperline, Leneghan, Liberty Township. Bookmark the permalink.